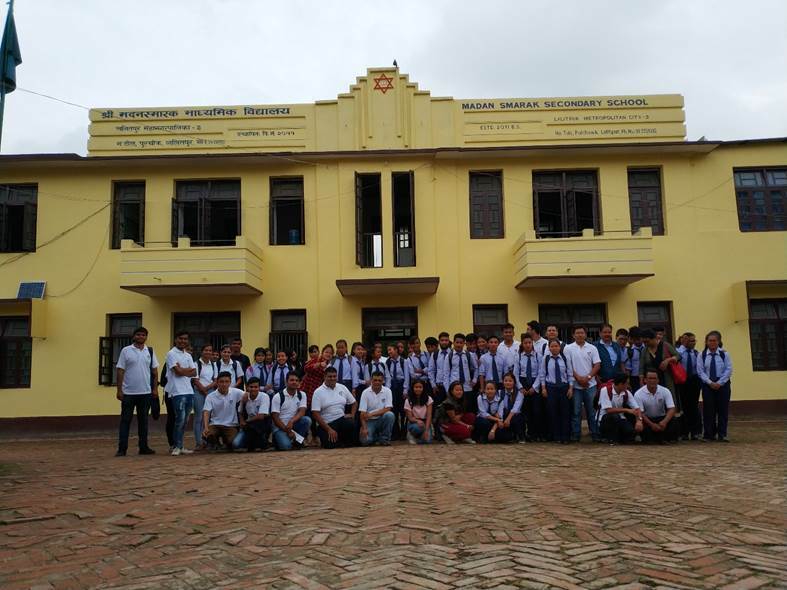 On 29-July-2018, CSTF executed its awareness program with Madan Smarak School situated at Pulchowk, Kathmandu.There were approximately 50+ participants and one session at the school. There were about 20+ volunteers and training was conducted by Mr. Rupen Rajkarnikar. During this, Mr. Rajkarnikar focused on usage of Internet (Pros n Cons), reasons to cyber-crime, cyber criminals, cyber Law of Nepal and cyber security precautions. Mr. Ridesh Rai focused on interactions and distribution of K7 licenses which helped students to open and interact with the CSTF. Mr. Dhananjay Acharya focused on covering the information to be share with local media for better exposure of the event. Soon after the event, Dr. Gupta added that “Security is not a one-man job; It is a collaborated work and we together has to stand as one to fight against Cyber Threats starting from own organization”. Dr. Gupta provided information that CSTF Level 1 with volunteers shall be taking lead and responsibility to continue such awareness program not just in Kathmandu but in different parts of country through our District Chapters of CAN Federation. Furthermore, he added that we should now focus on workshops to educate more on how to monitor our own internal networks and use risk based approaches to minimize haphazard.